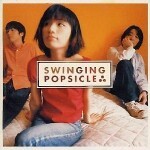 Swinging Popsicle was formed in 1995 when singer Mineko Fujishima and guitarist Osamu Shimada joined bassist Hironobu Hirata through a newspaper ad. The band’s first effort was the Sunny Silent Park EP. 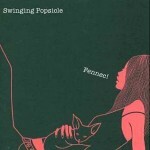 In 1998, their first self-titled full-length album Swinging Popsicle debuted from Sony Music Entertainment at Number 1 in the New Artists category, producing the hit singles “Joy of Living,” “I Love Your Smile,” and “Parade.” After extensive touring, the band returned to the studio for their second album Fennec! (2000). 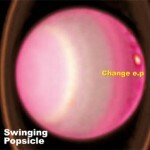 After starting strong with multiple Sony-label releases, Swinging Popsicle continued to build their international fan base with their independent releases of Change and Orange. 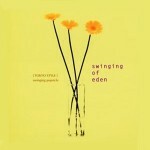 Four solid years of writing and performing live throughout Japan produced their most mature and powerful CD titled Transit (2004), featuring signature song “I Just Wanna Kiss You.” In 2005, the band embarked on their first tour to Korea. 2006 marked their United States debut at Fanime MusicFest in San Jose, CA. The same year their song “Clash” was included in a compilation CD with the Korean manga “Cracker.” Performing to regular sold-out one-man live shows in Japan, (some running as long as 3 hours) the band continued to develop new material for their full-length album Go on (2007), which featured “rainbounds,” “Clash,” and “Chocolate Soul Music.” In June 2007, they returned to America to perform at Anime Mid Atlantic in Richmond, VA, and New York Anime Festival at NYC’s Knitting Factory. 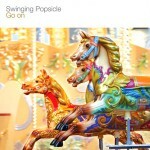 Swinging Popsicle has also contributed music to the NITROPLUS PC games STAR MINE GIRL (SUMAGA), AXANAEL, Kimi to Kanojo to Kanojo to Koi, and various songs for the Nitroplus mascot Super Sonico’s band, Daiichi Uchuu Sokudo (First Astronomical Velocity). 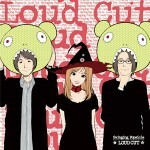 In 2009, the band released the CD Loud Cut, collecting their soundtrack work and remastered versions of some of the member’s favorite early tracks including “Afterglow” and “Let Me Fly”. Bassist/band leader Hironobu Hirata has acted as music producer for the NITROPLUS games SUMAGA, SUMAGA Special, AXANAEL, and Sonicomi, and provided musical arrangements for artists such as 7! 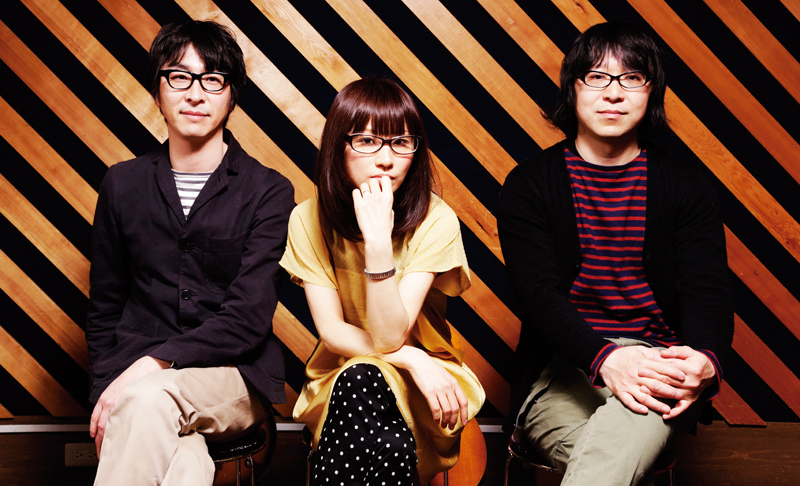 !, Kanako Ito, Kazuhiro Watanabe, Taru (Korea), Yozoh (Korea), and First Astronomical Velocity (feat. Super Sonico). Hirata also plays support bass for Kusuo and DQS, and was the band leader for Kusuo’s 2012 Budokan live concert. His producer and composition work for Super Sonico’s Love & II+ (Love & Peace Plus) brought him into Oricon’s Top 50 in June 2012. 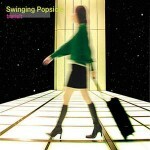 Celebrating their 20th anniversary, Swinging Popsicle released their latest EP flow on December 10, 2015. 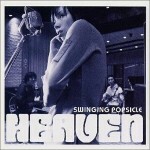 Swinging Popsicle was nominated as Best Japanese Rock Band by Shojo Beat magazine in 2008.